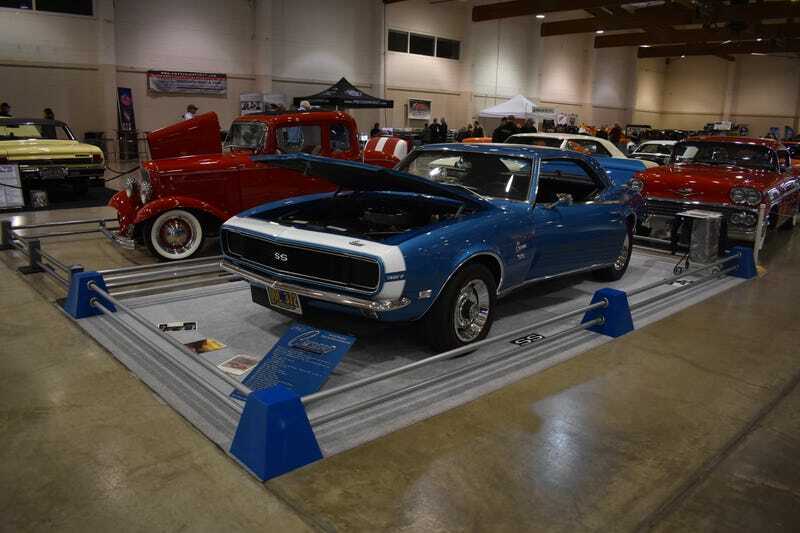 This weekend my 68 Camaro was invited to show in the invite only Salem Roadster Show held in the State Fairground in Salem, Oregon. The promoters spend the year looking for top notch show cars all around the northwest and surrounding areas. This years show was again full of all types of cars from hot rods to muscle cars to off road machines. Its a smaller show that really has quality cars and is full of a very friendly atmosphere. Every participant gets an award jacket due to the show being invite only. Every year the cars are different. The show has been going on for 12 years with over 1200 cars showing and the amount of repeats could probably be counted on one hand. So that is a little about the Salem Roadster Show, now enjoy some of the pictures from the show.